Cathy Christen is a holistic peak performance strategist passionate about helping people design their life as the masterpiece it was meant to be. She brings awareness to the extraordinary potential within you, inspires you to fully develop the gifts you’ve been given, and provides business and personal coaching tools to help you elevate your energy to its highest level to start living the life of your dreams today! She is a speaker, author, direct sales trainer, as well as a life and business strategist. She has coached over 100+ people over the past decade (including five national champions) to start and grow profitable businesses, and exclusively mentors thirty-five entrepreneurs annually across multiple market spaces. Cathy is the founder and CEO of Elevated You, Inc. a coaching and consulting company focused on helping individuals and companies take their life and business to the next level. She oversees the Gulf Coast division of Cutco/Vector Marketing, which produces over $5.5 million in sales annually. She was the quickest promoted district manager to the Cutco Hall of Fame, won seven national titles, and is responsible for over $46 million dollars in sales. 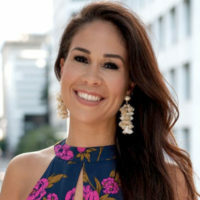 Cathy is also co-founder of Elevated Fitness and Nutrition, an energy and lifestyle company focused on a holistic approach to help others have the energy they need to really LIVE their best life.